The holidays make it more likely that guests will come to visit. Your guest room may only be used two weeks a year, but winter break probably makes up at least one of the weeks, with summer holding court for the other. Get your guest room guest ready for your upcoming visitors with these handy lists. 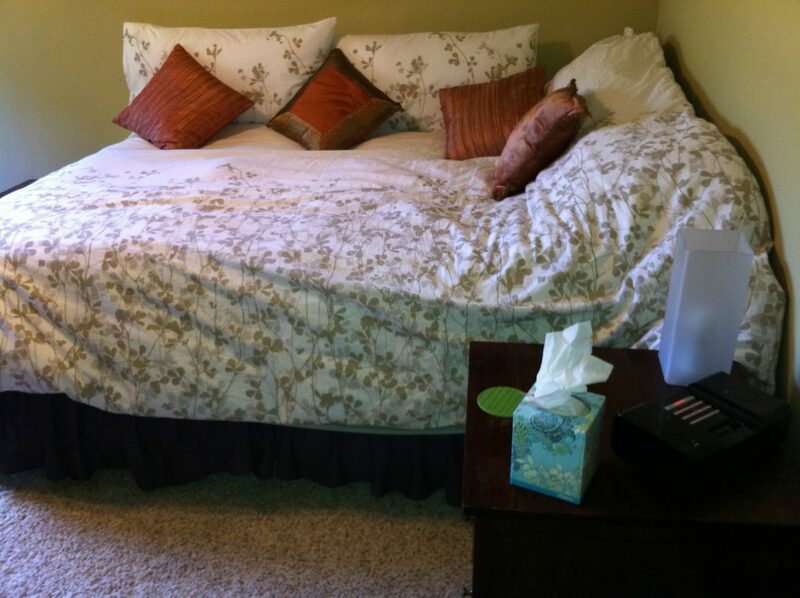 Bed – Big enough for two adults to sleep in. Linens – Clean and soft. 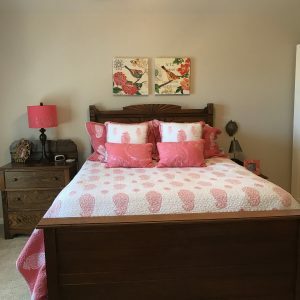 Extra blanket – Okay, in Texas this might be ridiculous, but if you’re visiting say, the desert, it gets cooler at night and an extra blanket might actually come in handy. Bedside tables on each side of the bed – You can use a chest of drawers for this and then you’ve got storage for guests’ clothes. Or use a short bookcase as a bedside table and include some reading materials. You can even add some books or magazines for casual reading, maybe even a crossword or Sudoku book. Drawers – If you don’t have an extra set of drawers to use in the guest room, a hanging canvas bin will keep your guests from having to live out of their suitcases. Mirror – Full-length is nice, but even a tabletop or hand mirror is helpful when someone’s got to put on make-up and there aren’t enough bathrooms to go around. A table and chair or desk is nice, and especially easy if your guest room is multitasking as a home office. Paper, pens, and a power strip for a charging station would all be great here. Towels on the bed or out where guest can find them – Bath towels, hand towel, and extra wash cloths. Robe – They’re so big to pack but it’s sure nice to run to the bathroom without worrying about being properly dressed. A basket of bars, nuts, and other midnight snacks. A suitcase stand is inexpensive and so handy. They also fold up so they’ll tuck easily into your guest closet. Next month, I’ll give you some tips for how you can make your guest room multitask so that it’s not wasted space for much of the year. This month, I hope you have happy holidays and happy visitors. Need some help setting up your guest room – or any other room? If you would like decluttering, organizing, or design help from spaceWise, call 512-591-8129 or email me to get started.